Devin Edwards pushes the ball against Hahnville. 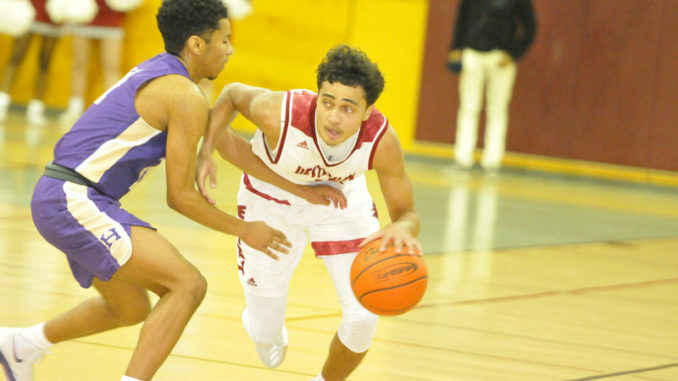 Destrehan managed to keep its basketball schedule intact through last week’s winter freeze, playing its lone district game on the road last Thursday night before hosting Chalmette Saturday and splitting the two games. The Wildcats bounced back to beat Chalmette 59-48 after absorbing its most lopsided loss of the season, a 100-69 decision against a tough Bourgeois squad contending for District 7-5A’s top honors. Bourg said the Wildcats shot the ball far better against Chalmette, rebounded better and were tougher at the defensive end — an all-around improved effort. 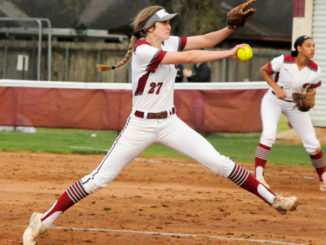 Destrehan fell to 2-3 in district play with the loss to Bourgeois and entered this week at 12-13 overall, cooling off a bit after a strong start. 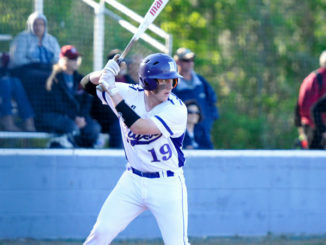 That puts added importance on a game that always has plenty of it: the Wildcats are set to rematch Hahnville Friday night at the R.K. Middle School gymnasium, with a chance to sweep their archrival Tigers. 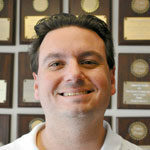 In the first meeting between the teams on Jan. 3, Lionel Maxon scored 30 points to lead the Wildcats to a 87-83 victory. 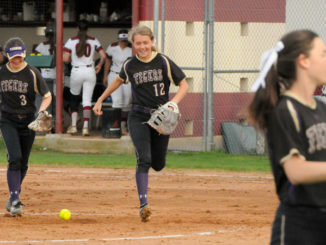 In that game, Destrehan surged to a big first half lead and at one point increased its lead to 20 before a ferocious Hahnville comeback made the final minutes dramatic. It was another chapter in the storied rivalry, and Bourg expects no less of a fight this time around. Communication can be tough when the fans get rocking, he added. One player who could come up big is junior guard J.R. Blood, who Bourg said has started to heat up with his outside shot. Blood led the Wildcats with 24 points in their loss to H.L. Bourgeois. Zalvin Michael scored 18 and Devin Edwards 14. Maxon led the way in the Wildcats’ win over Chalmette, scoring a team-high 21 points. Blood scored 18 and Michael added 12.